You can start browsers in incognito mode manually or by adding --incognito to Chrome or -private to Firefox’s command line. 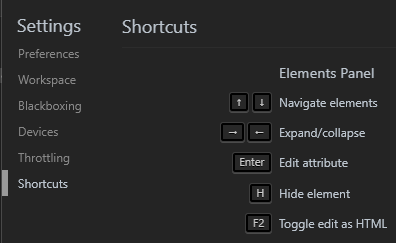 Firefox provides the Take a screenshot system which is available from most menus. 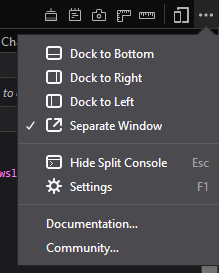 In addition, you can right-click any element in the DOM view and select Screenshot Node. 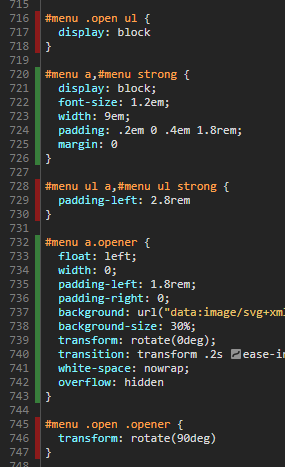 Unused code is highlighted in red in the line number gutter. 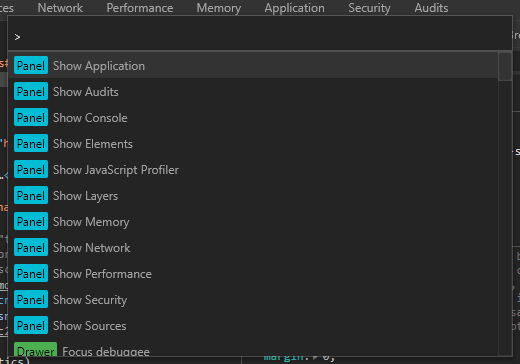 Note that Chrome does not appear to remember used/unused code when you navigate to a new page, but I expect this will be provided in a future release. Check Disable cache in the Network panel to load all files from the network. This provides a better assessment of first-time page loads. Similarly, there’s little point testing your system a 1gbps connection when most users access over 3G. 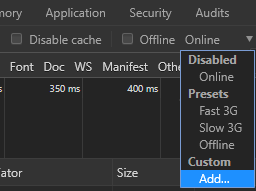 The Network panel provides an Online drop-down in Chrome and a Throttling drop-down in Firefox which allows you to emulate specific network speeds. 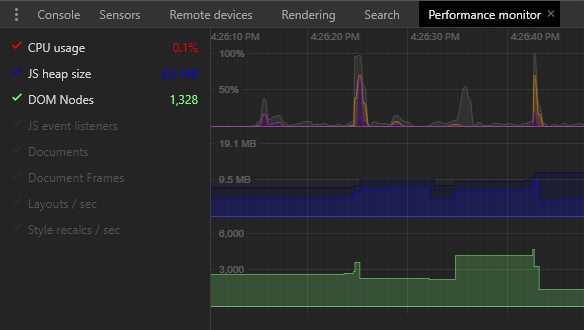 Chrome also provides a facility to add your own throttling profiles. By default, the Network panel shows a table of requests and responses in download order. However, any table heading can be clicked to re-order by name, status, type, size, response time, etc. To discover any incomplete or unresponsive HTTP requests, access the Network panel and enter is:running in the Filter box. From the Network panel, enter larger-than:S in the Filter box, where S is a size in bytes (1000000), kilobytes (1000k), or megabytes (1M). Responses greater than the chosen size are shown. To find responses which are smaller, use -larger-than:S.
From the Network panel, enter -domain:*.yourdomain in the Filter box, where yourdomain is your primary URL, e.g. sitepoint.com. The remaining responses show third-party requests to CDNs, trackers, social media buttons, etc. 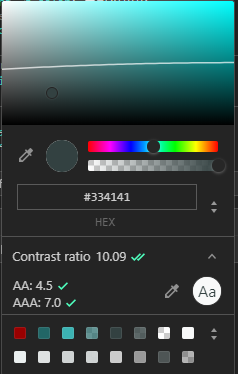 The number of requests and payload sizes is shown in the status bar below the table. It is possible to block trackers, analytics, social media widgets, or any other requests during testing. Ajax XMLHttpRequest operations can be examined by right-clicking their entry on the Network table, then selecting a copy option such as cURL, fetch, or PowerShell. 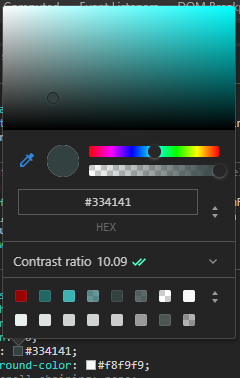 This creates a command with identical headers, user agent, cookies, and referrers which can be pasted into an editor or terminal. 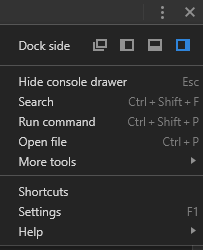 Chrome allows any file to be saved to your system so the browser will fetch it from the device rather than the network. This could permit offline development if, for example, you wanted to load or edit assets normally accessed from a CDN. Open the Overrides panel within Sources, click + Select folder for overrides, and select an appropriate folder. Now right-click any resource in the Network panel and select Save for overrides. Any subsequent page reload will access the file from your local system rather than the web. The saved file can also be modified. The Application panel in Chrome and the Storage panel in Firefox allow you to examine, modify and delete values held in cookies, cache storage, localStorage, sessionStorage, IndexedDB, and Web SQL (where supported). Chrome’s Clear storage panel can also wipe all values for a domain which can be useful when developing a Progressive Web App. 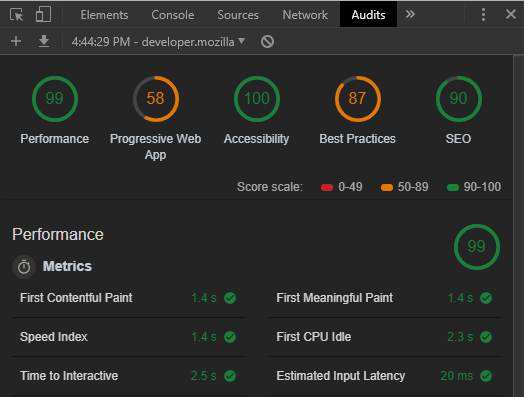 Chrome’s Audits panel was originally designed to assess Progressive Web App functionality but the tool has evolved into a general purpose tool to analyse performance, accessibility, best practices, and SEO in both mobile and desktop view. It won’t catch every problem and you may disagree with some points, but it’s a useful way to make a quick assessment of potential issues.